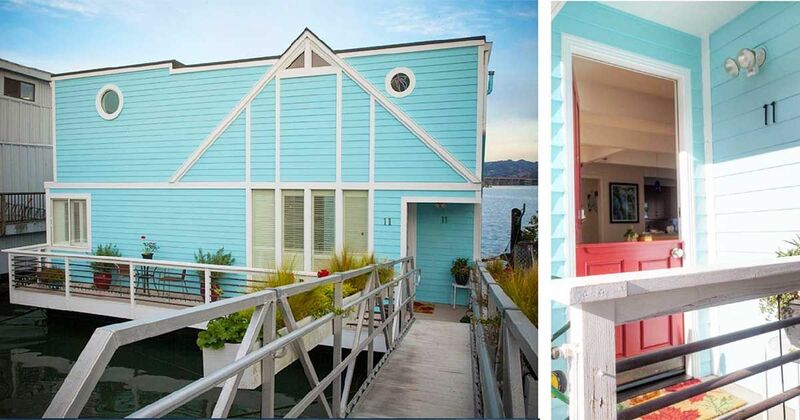 There's just something about sleeping on a houseboat that screams "vacation," and this gorgeous blue boat in Sausalito is no exception. From the outside, the boat almost looks like a cute, cozy home, but it's really floating on the water, ready to provide peace and tranquility to those who climb aboard. 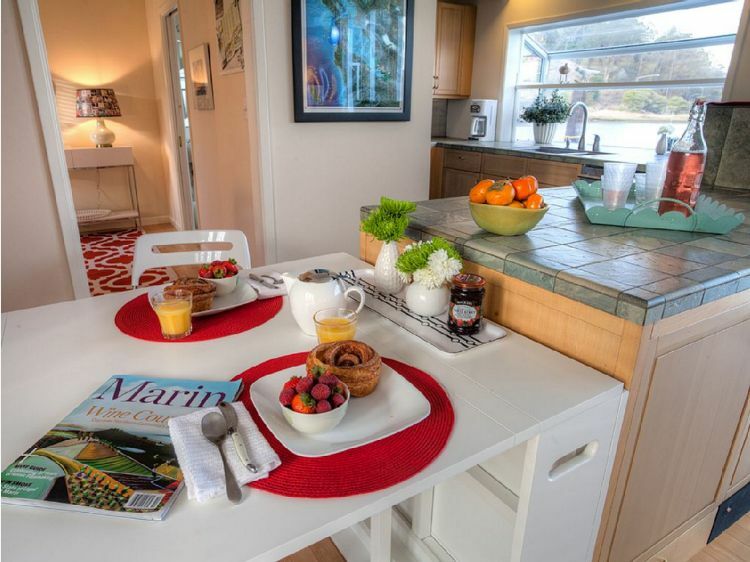 This roomy, two-story houseboat contains two bedrooms, two bathrooms, and a full-sized kitchen featuring every available amenity. Spend the weekend in serenity on this cheerful, bright boat that will help your worries float away. As you enter the boat you'll notice the inviting interior. Cool shades of blue accent light wooden floors and white walls, creating a fresh, ocean-inspired vibe. The living room is softly lit with floor-to-ceiling windows, creating a stunning view of the ocean. 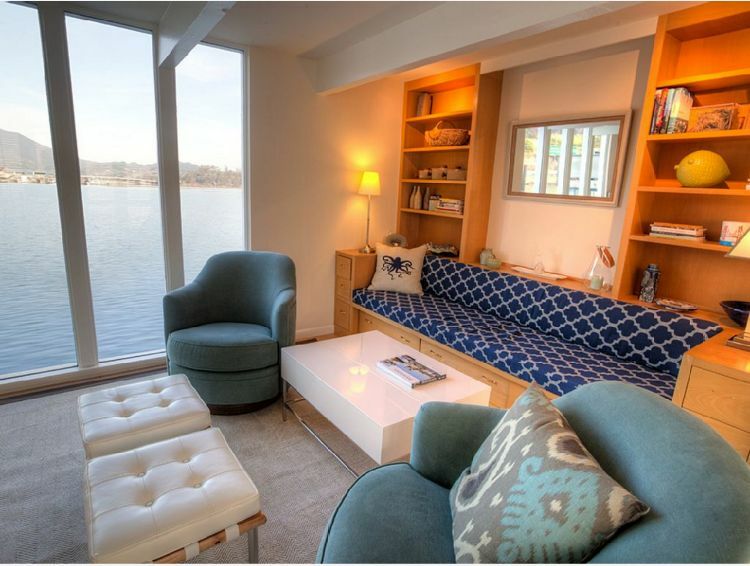 There's a couch, two chairs, a coffee table, and built-in shelves, creating a homey feel. 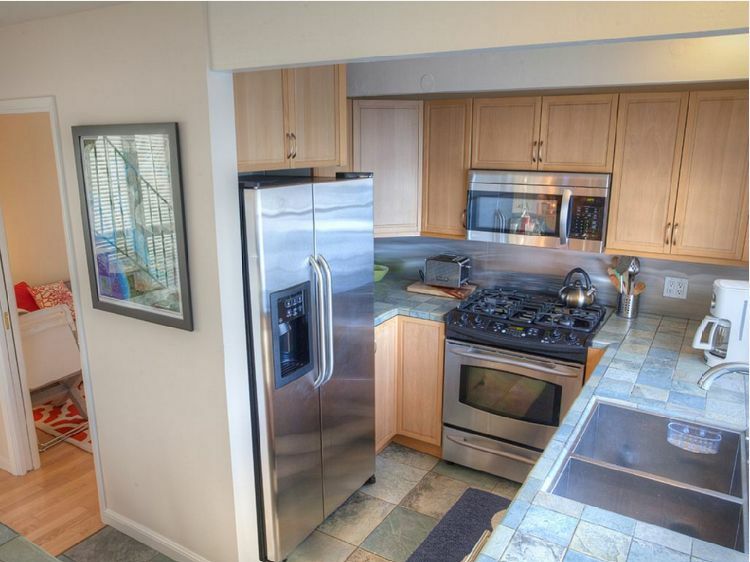 The kitchen is fully loaded with shiny, stainless steel appliances, including a refrigerator, oven/range, sink, toaster, and microwave, providing everything you need to prepare meals or snacks. A space-saving, pullout table directly off the kitchen provides space to sit while you eat, read the paper, catch up on e-mail, or simply unwind. 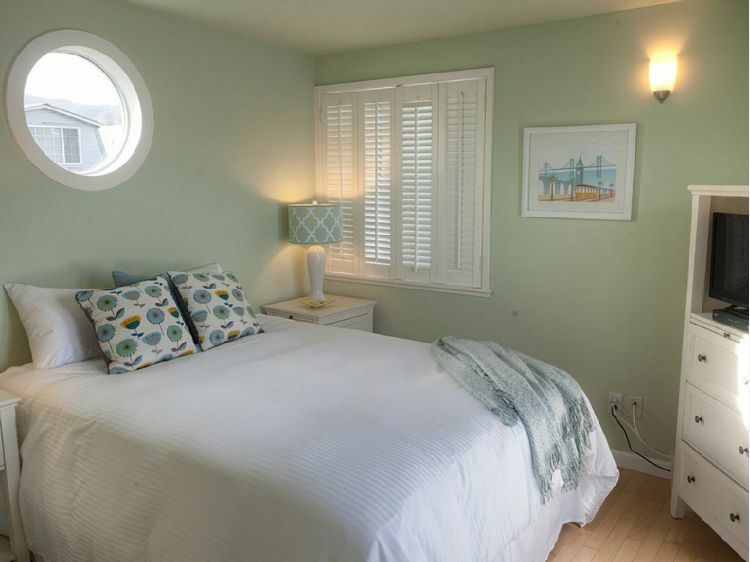 The home features two bedrooms, one master bedroom and a guest bedroom. 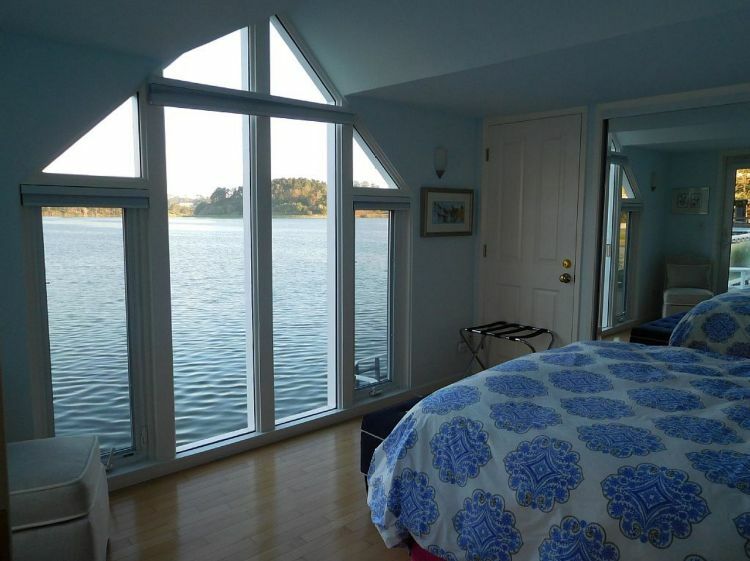 The master bedroom provides some of the most jaw-dropping views you've ever seen, and makes it a soothing spot to spend the evening and wake up to the sights and sounds of the waves. 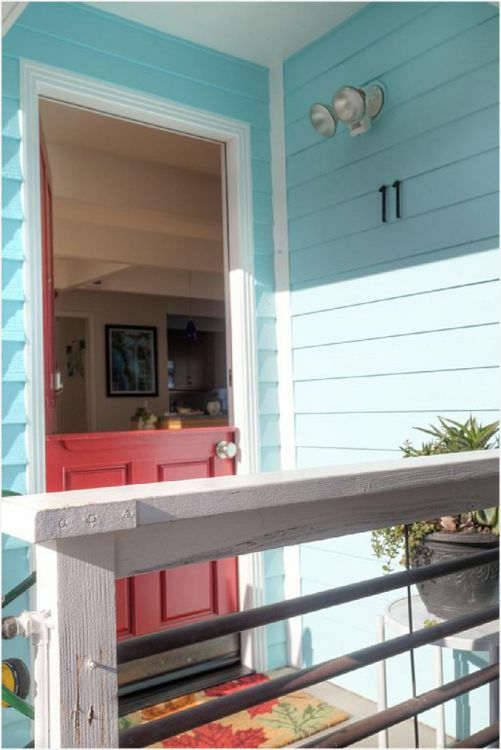 Both bedrooms have an available deck, so you can open the doors and enjoy the ocean air, or step outside to have coffee. The bedrooms contain queen-sized beds for plenty of sleep space. 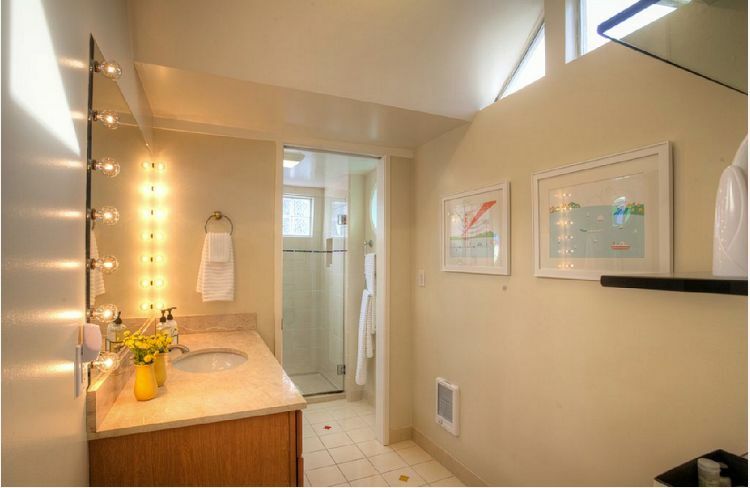 The bathroom features a lighted vanity/mirror, with a walk-in shower. Overhead windows let in light and give the space an airy feel. The true treasure of this boat lies in the exterior deck. The perfect spot for watching the sun set while you enjoy a glass of wine, the deck provides a stellar mountain view you won't soon forget. 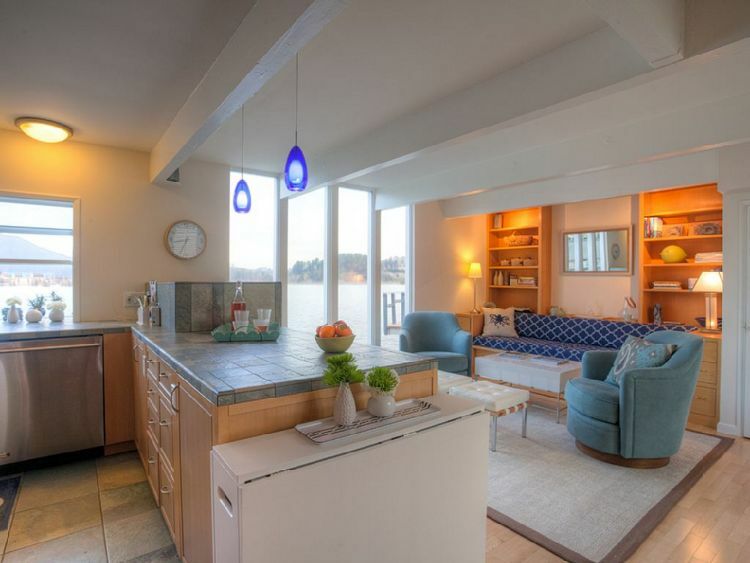 The boat includes everything you need for a weekend stay, including TV sets, Wi-Fi access, and a cozy fireplace. 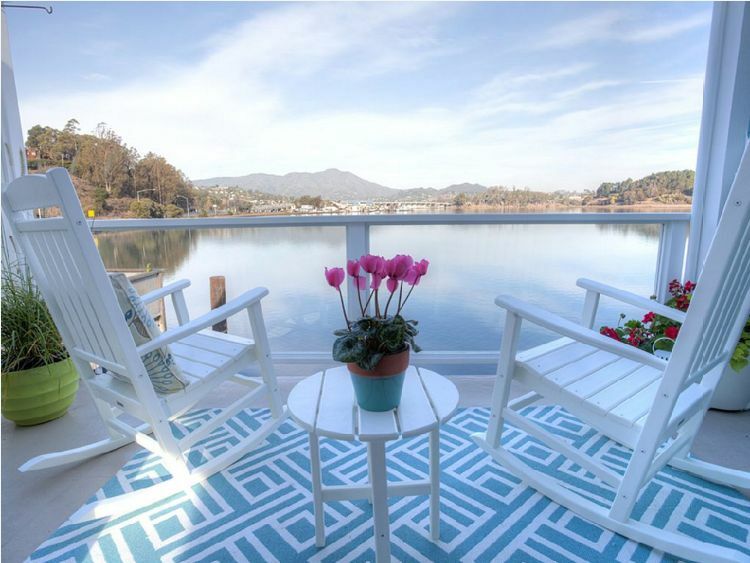 Enjoy a long, leisurely time enjoying all that this boat and the area has to offer, including birdwatching, the nearby Napa wine country, and close proximity to the beach and to San Francisco.